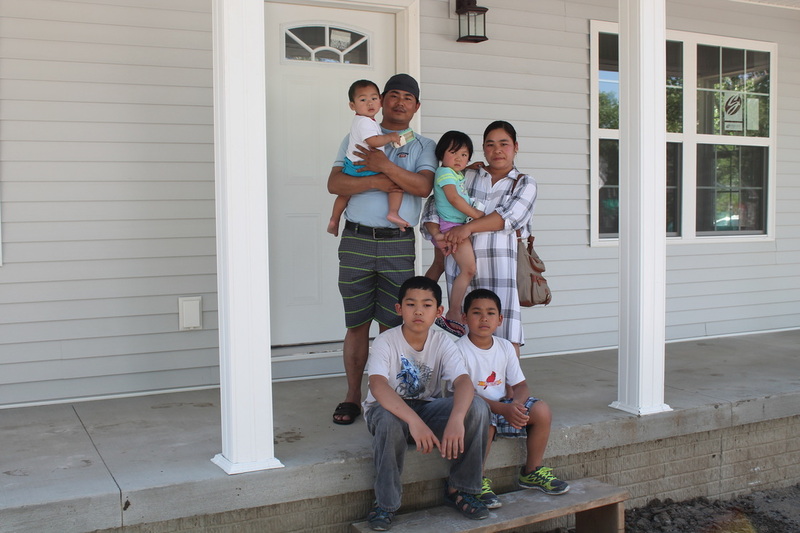 The Kay Reh-Su Meh family standing in front of their new home. Kinzler Construction Services was pleased to participate in the first-ever “blitz build” for Waterloo-based Iowa Heartland Habitat for Humanity. Kinzler joined with other area contractors, suppliers and builders in June, who successfully completed a home in record time – just six days! It’s a process that normally takes as long as six months. Kinzler Construction Services made a donation for the home’s insulation and volunteered a crew to install it. 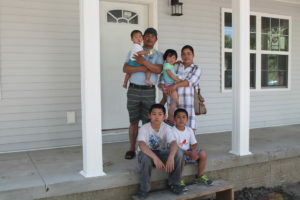 The donations from Kinzler and others helped to make the home affordable for the Kay Reh family. Kay Reh & Su Meh and their four children are very grateful to have secure safe, affordable, and decent shelter! Several years ago they arrived in Atlanta, Georgia from a Burmese refugee camp and have been in Waterloo for the past four years. The Kay Reh-Su Meh home is the 132nd Habitat home to be completed in an area that includes Waterloo, Cedar Falls, Waverly, Evansdale, Parkersburg, La Porte City and Hudson, since 1991. Iowa-based Kinzler Construction Services is a leading provider of construction supplies and services to commercial, residential and agricultural builders and homeowners. Kinzler has locations in Waterloo, Cedar Rapids, Ames and Ankeny, and in Minnesota and Texas.